This delicious Easy Pork Stroganoff is bursting with flavour, but is simple to make and only takes 20 minutes, meaning it is perfect for a busy weeknight. 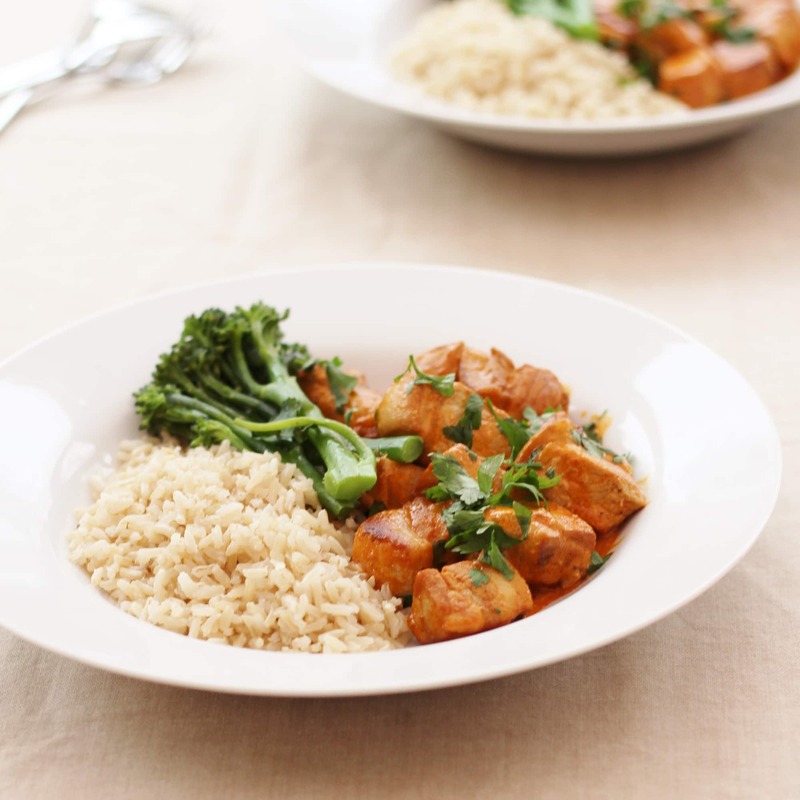 Serve with brown rice and green veg for a slightly healthier twist on a classic. I am a huge fan of pork stroganoff, but I’ve never shared my favourite recipe for it – until now! I just love this easy peasy take on a classic recipe. 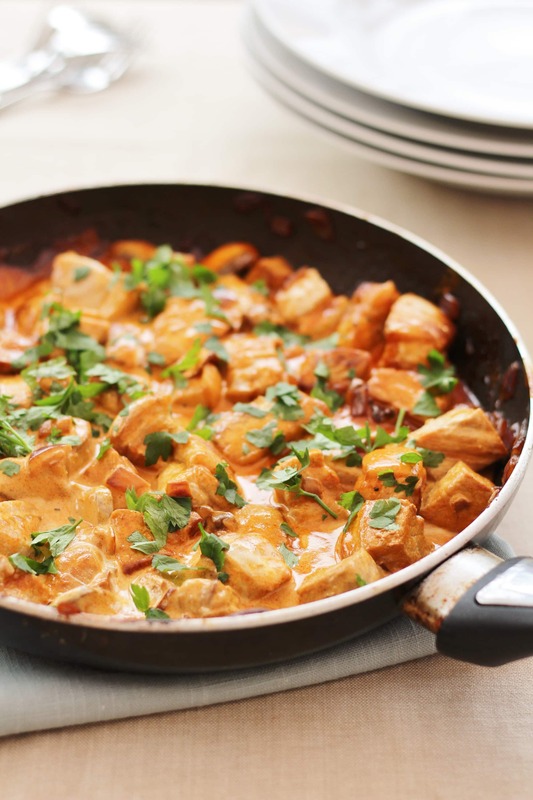 It includes some of my favourite flavours – pork, mushrooms, garlic, paprika and sour cream! It’s definitely one of my all time favourite recipes! 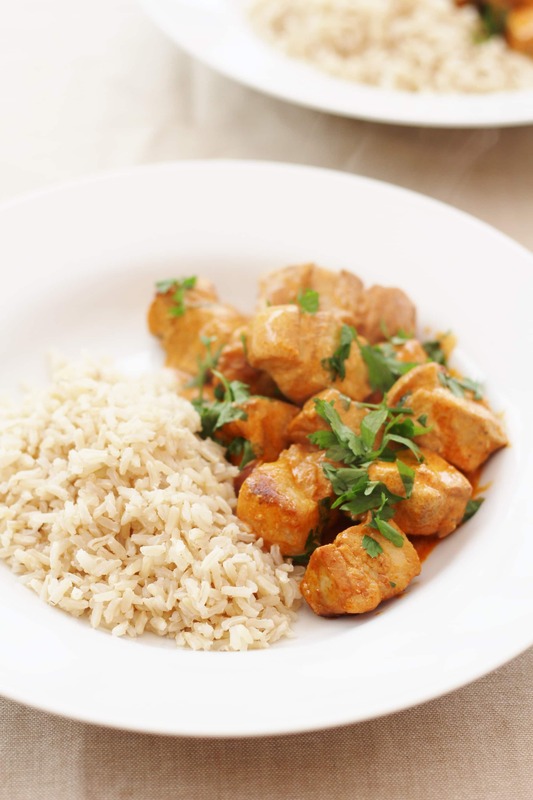 To make this Easy Pork Stroganoff recipe a little bit healthier I have combined it with brown rice and broccoli – it is still January after all! If you are going low carb at the moment, just ditch the brown rice completely and serve with extra green veg. I have chosen to use pork loin steaks in this Easy Pork Stroganoff recipe, but you can also use pork fillet or medallions if you prefer. Either way, there are no bones to worry, making this dish lovely and easy to prepare (and eat!). 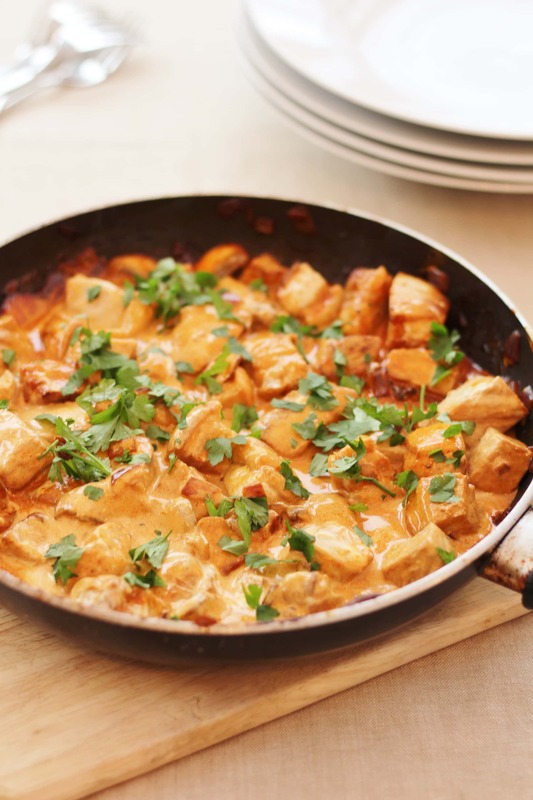 If you are not a fan of pork, try this stroganoff with beef instead, or if you would prefer a veggie version, increase the quantity of mushrooms and/or use some Quorn pieces in place of the meat. If you are not doing dry January at the moment, this recipe would go brilliantly with an oaked Chardonnay from somewhere like Chile or Australia, or alternatively, if you prefer red wine, a Beaujolais or Red Burgundy would go well here too. Put the rice in a pan with 400ml boiling water and a pinch of salt. Bring to the boil and then cover with a lid simmer for 15 minutes or until cooked to your liking. 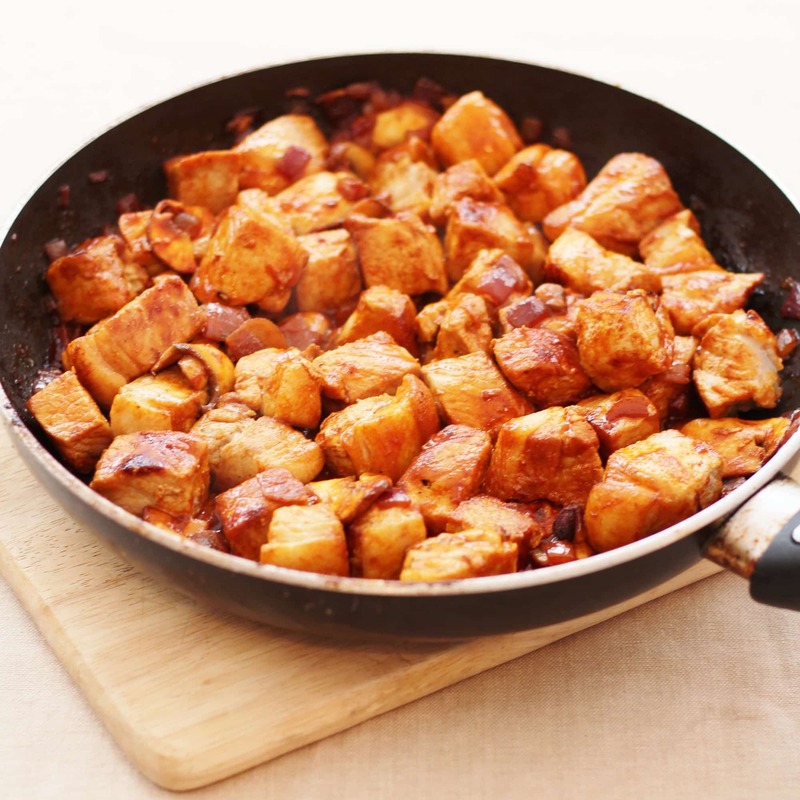 Put a tablespoon of olive oil in a large frying pan and heat for 1 minute, add the cubed pork and cook over a high heat for 5 minutes, stirring frequently to ensure it is nicely browned all over. Tip the pork and all the juices onto a plate. Turn the heat down then add the butter to the same pan and allow to melt, then add the onions and mushrooms and cook for about 3 minutes until lightly browned. Meanwhile cook the green veg that you will be serving with the stroganoff – I chose to lightly steam tenderstem broccoli over the brown rice for 5 minutes. 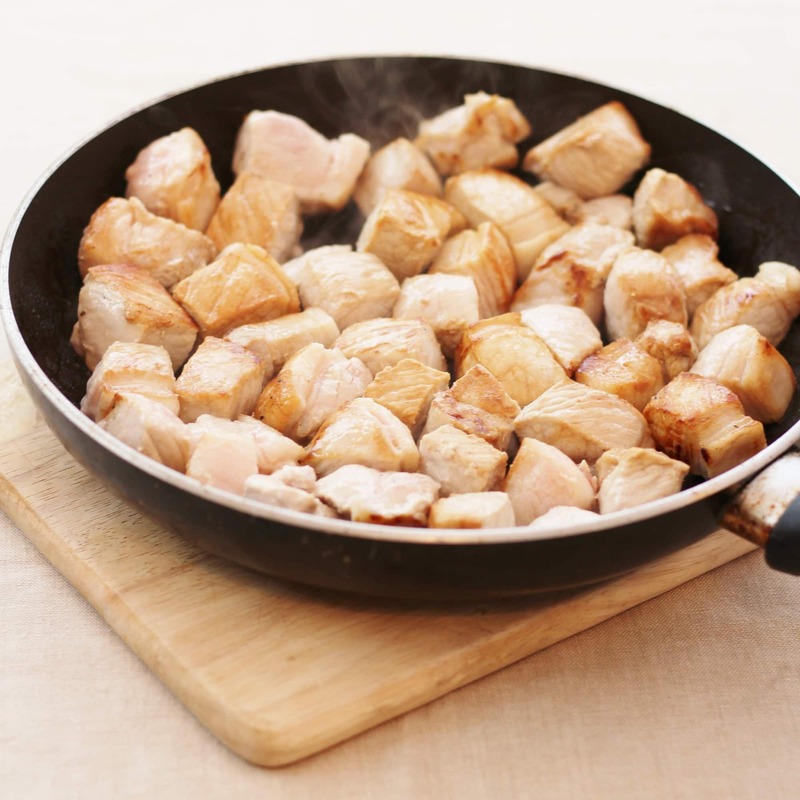 When the onions and mushrooms are cooked, add the garlic, paprika, salt and pepper, plus the pork and all the juices and cook over a low heat for a further 3 minutes, or until the pork is cooked. Add the sour cream and heat gently until it just starts to bubble (don’t boil!). Turn the heat off and sprinkle in the chopped parsley. 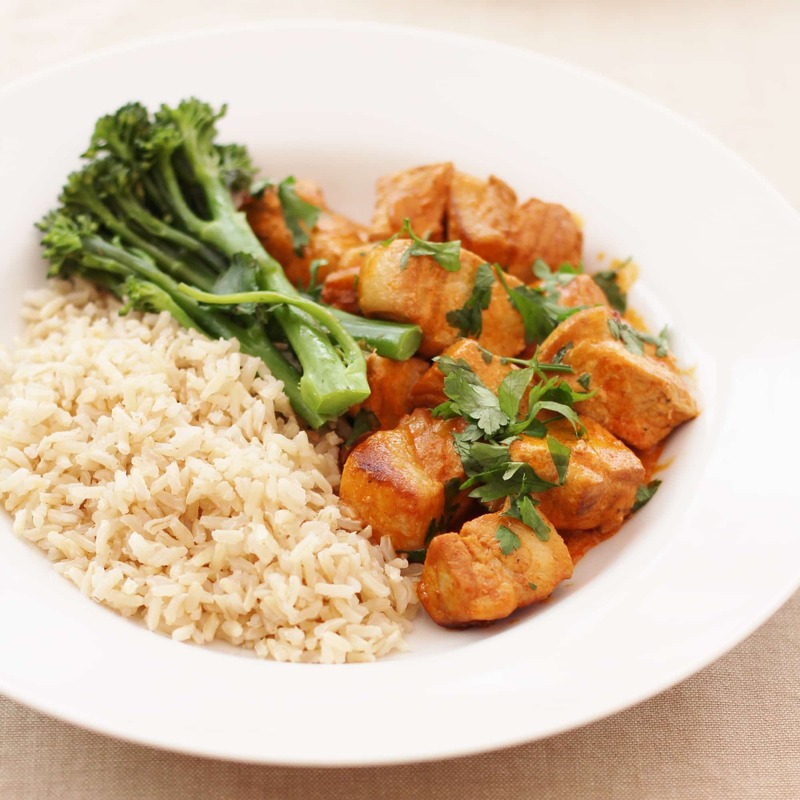 Serve with the brown rice and broccoli. This looks delicious and would be absolutely fabulous with brown rice and veggies or just extra veggies as you recommend! We love using smoked paprika in our recipes too. Thanks so much for the yummy inspiration! I am so happy to have found your site. I don’t think I’ve ever made a stroganoff – must do something to rectify that. The flavours sound lovely and I think even my kids might like it! 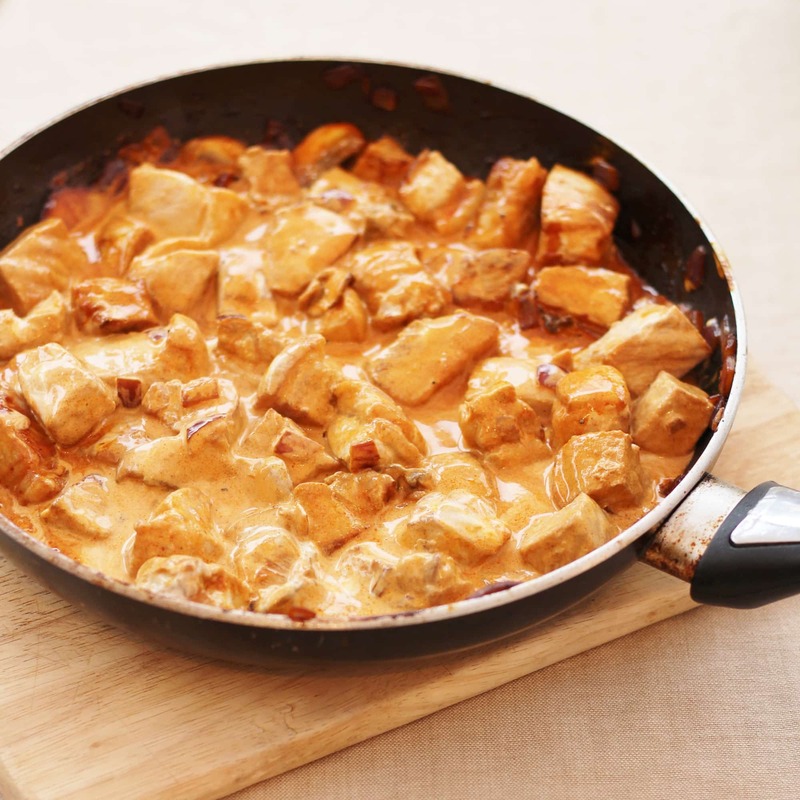 A good stroganoff is always a winner, and this one looks fantastic.Pork, sour cream and paprika – what’s not to like? This sounds delicious. I’ll have to give it a try! I’m pretty sure I’ve said this before, but will you move in with us? Pretty pretty please! I really fancy this right now. It looks healthy, creamy, moreish yet good for you. Stop doing this to me when I have no food in the fridge! Thanks for joining in with #FreeFromFridays. I made this yesterday and we both loved it. I used lean diced pork and brined it for an hour beforehand to tenderise it. I’m thinking of adding 1/2tsp of cayenne pepper next time to spice it up. Hi there, can you re-heat this? I made this for the family today and it was delicious. I used pork fillet, it was very easy to make and everybody loved it. I have a portion left over, I just wondered if it is ok to freeze due to the sour cream?